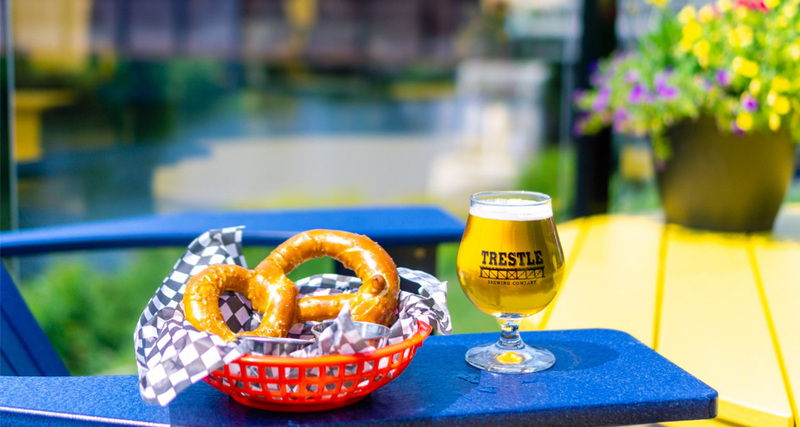 Trestle Brewing Company is an independently owned craft brewery in development in downtown Parry Sound on the waterfront. The property is located at 9 Great North Road backing onto the river and has spectacular views looking towards Parry Sound’s iconic CPR Trestle bridge and Georgian Bay. The 4000 sq. ft facility is currently under construction and will include a taproom serving year round beer offerings brewed on site as well as other seasonal special beers throughout the year. The taproom will feature local foods that pair well with our beers. The open concept design connects the brewhouse area on one end through our taproom/retail area, out onto our waterfront patio on the other end. For more information, including details on the grand opening of this new facility, please visit their website. You can also find them on Facebook, Twitter and Instagram.